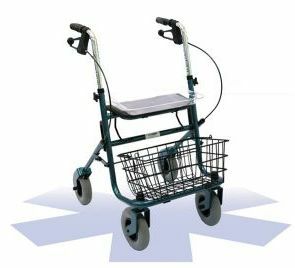 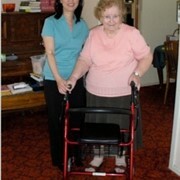 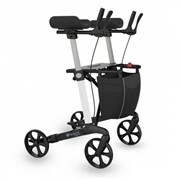 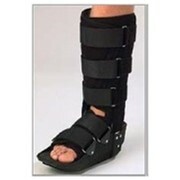 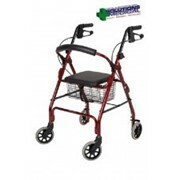 A sturdy, complete assisted mobility system with worry free puncture proof tires. 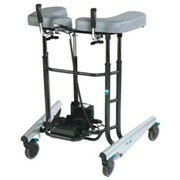 It comes complete with wide seat, tray and basket. 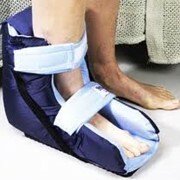 Folds easily for transporting in car or taxi. 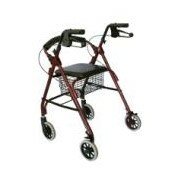 Available in blue, green or red.